Hooray! There was just a big online sale and I just got a whole bunch of new patterns in the mail! People often ask me, why do I have so many patterns? Well mostly because I’m obsessed, but also because I am able to get them so cheap. 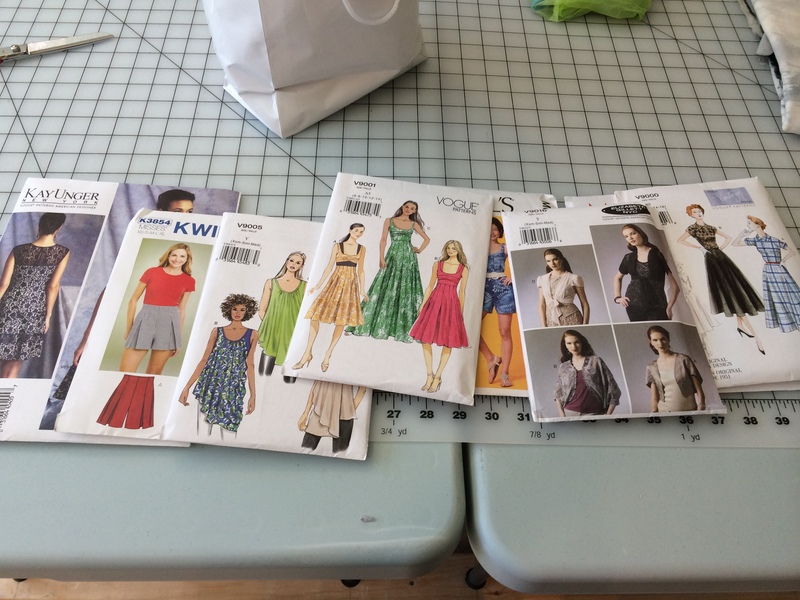 Last summer I decided to spend the $9.99 to join the BMV club so that I could get McCall, Vogue, Butterick, and Kwik Sew patterns for a discount. The discounts have more than paid for themselves. And it’s nice because a lot of times I would find a pattern I liked at a store, only to find out they are out of stock. I highly recommend it if you think you are going to buy a lot of patterns in the coming year (as I was). But you can also sign up for emails to get notified of their sales. The sales are pretty good and you can often get patterns for $3.99. So, maybe some upcoming projects in the future! What do you think – anything strike your fancy? Categories: Shopping Notes | Tags: BMV Club, discount patterns, homemade clothes, Sewing, sewing patterns | Permalink. 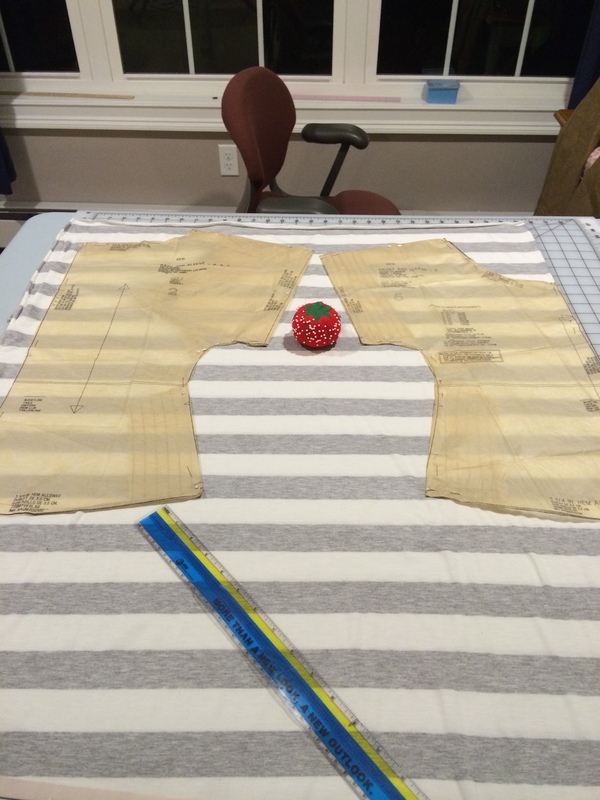 There is nothing like a slightly rainy holiday weekend to give you the motivation to sew! Things have been so busy over the last couple weeks with work, random obligations, and my actual graduation from business school that I hadn’t gotten a chance to work on my new dress. I was grateful for the 3-day weekend to get started. But I first want to mention that my oldie New Home machine is now in semi-retirement. I’m sad that I won’t be using it as I’ve gotten quite attached to it, quirks and all. 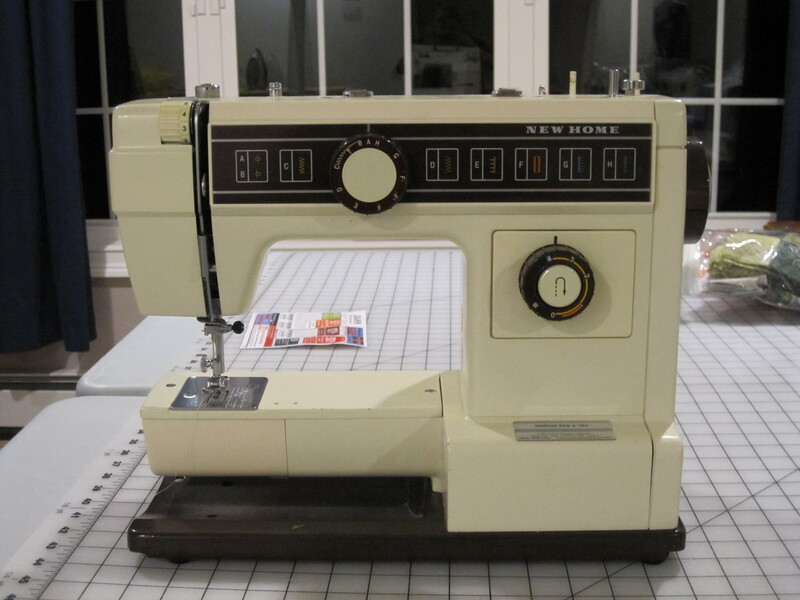 It will be a good thing in the end because I have far less bobbin issues with my mom’s old (my new) Husqvarna machine. Okay back to the dress. 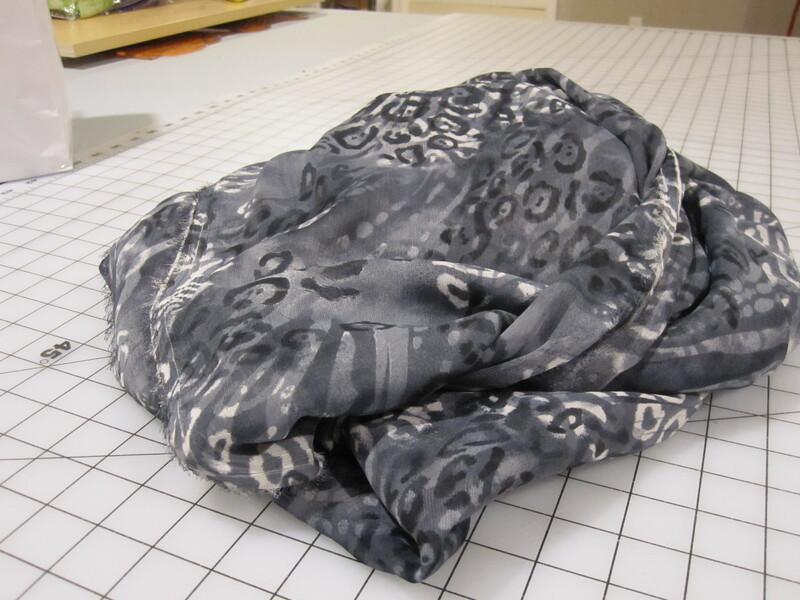 The pattern seems very straight forward, instead of cutting the front bodice on the fold it had me do a little flip-around thingy instead since there were really no other pieces to cut on the fold. I was able to get it pretty even. The front bodice has darts and pleats. I hadn’t done darts in forever, so I had to try to remember how they worked. I had to go online for a refresher video to remind me how to sew the triangles in and press them down. Ah yes, it was all coming back to me. They were so easy, I may start putting darts in everything now! 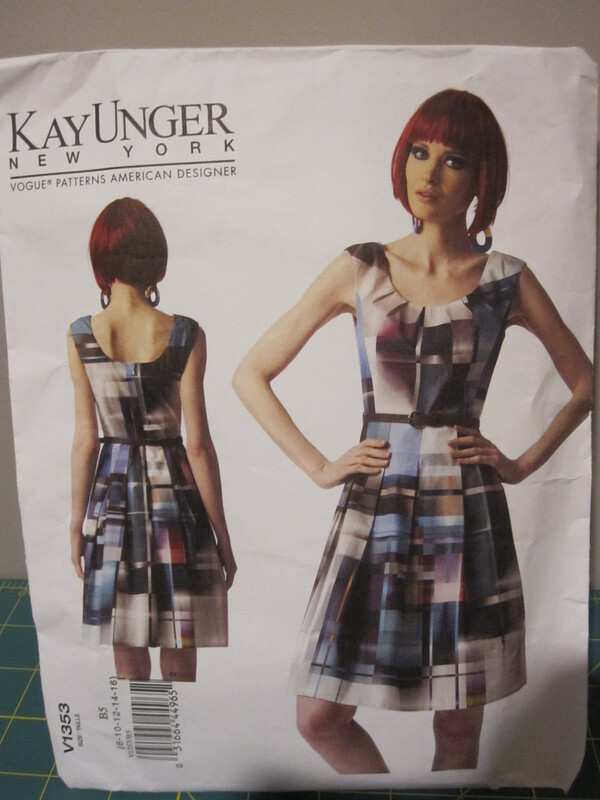 Categories: Sewing Projects, Special Occasions | Tags: homemade clothes, Homemade Dress, Kay Unger Pattern, Sewing, Special Occasion Dress, Vogue Pattern V1353, Vogue Patterns | Permalink. I almost put the title as The Wedding Dress Challenge, but changed it because I didn’t want people to think I was getting married, or worse yet attempting to make a wedding dress! Eeeps! A friend of mine is getting married on 4th of July weekend and I thought it would fun to wear something of my own creation. I may be eating my words later. But I feel like I have enough time to complete this task. Plus I’ve had this pattern that I’ve been dying to try and some lovely material I bought many months ago that is just itching to be used. I know, it looks pretty complicated. But the rating says “easy” so I have some confidence in this project. I had hoped to do some cutting on this today, but my day just got in the way. So check back to see my progress as I attempt my first special occasion dress. Something Old: This pattern has been sitting in my collection for about 9 months, which is not too old, but older than other patterns I have. 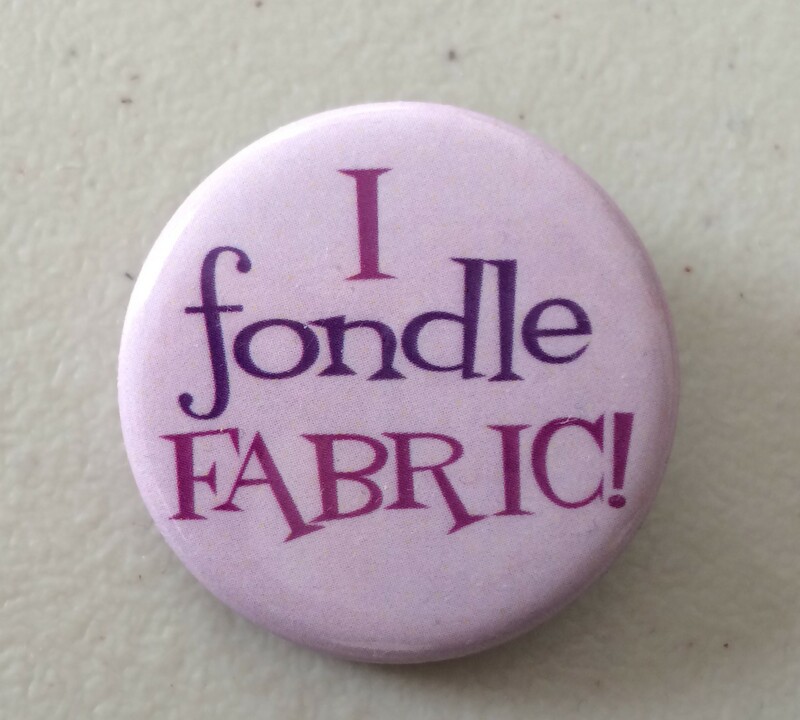 Something New: It calls for an invisible zipper! I’ve never worked with one before and it looks like I need to use a special foot for it. Something Borrowed: Technically I am borrowing my mom’s old sewing machine (only 10 years old), since she just bought a brand new one. Something Blue: I think there is some navy blue in there somewhere. Categories: Sewing Projects, Special Occasions | Tags: Homemade Dress, Kay Unger Pattern, Sewing, Special Occasion Dress, Vogue Pattern V1353, Vogue Patterns | Permalink. Yay! My mom’s serger is out of the shop and ready to go. So, time to sew some knits! A lot of the clothes that you buy are made with a serger, which makes a certain type of stitch that finishes the edge while it sews. It was perfect for this cotton stretch knit material I bought and used to make this cute little top with kimono sleeves. At first this looked like a top I could complete in a few hours, but I don’t have a ton of experience with knits and there were a few unforeseen challenges. Categories: Sewing Projects | Tags: homemade clothes, knit top, New Look 6816, New Look patterns, Sewing, sewing with knits, stretch knits | Permalink. Okay, so yesterday was my actual birthday. But I wanted to share this special present I received, which was this gorgeous sheer material from my mom. I think it’s chiffon. Anyways, I need to figure out what I want to do with it. Especially since I was informed that I only own part of this, since my mom is going to give part of it to my sister. Typical. When I was growing up, my little sister always got a present on my birthday. Can you believe this is still going on, even with us in our 30’s?! Oh well, there is actually plenty to go around. I’m thinking a nice flowy dress would be great for this. I also got some black lining material as well that will go very nicely. I’m so behind on my projects. 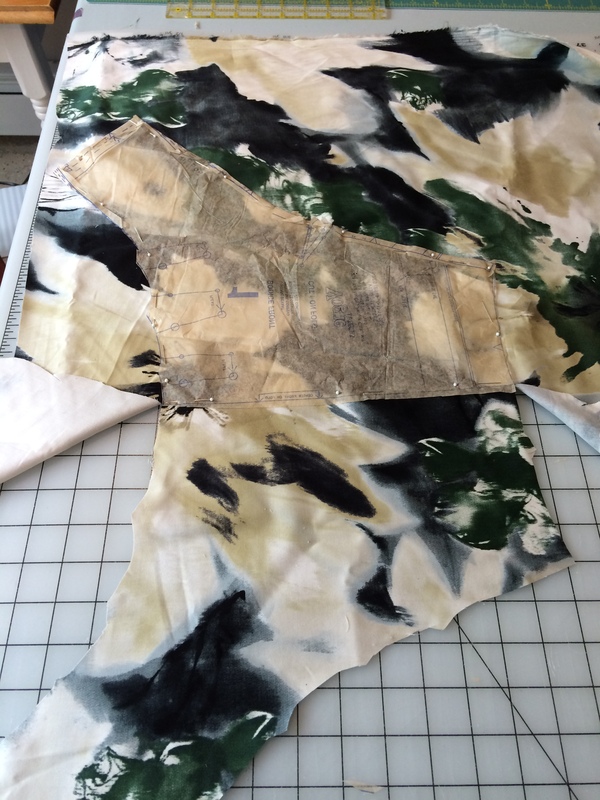 I actually cut out the material for a knit shirt last week, but I have had no time to even look at it. As you can see, this will be a great lesson in matching up stripes. I’m actually very excited about this shirt because I actually saw the material and envisioned what kind of shirt I wanted to make with it. I then did a thorough search for the perfect pattern to match what I wanted. 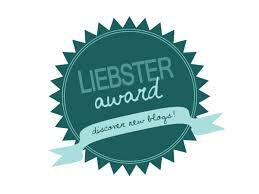 Stay tuned for the post on this one…when I finally get around it it. 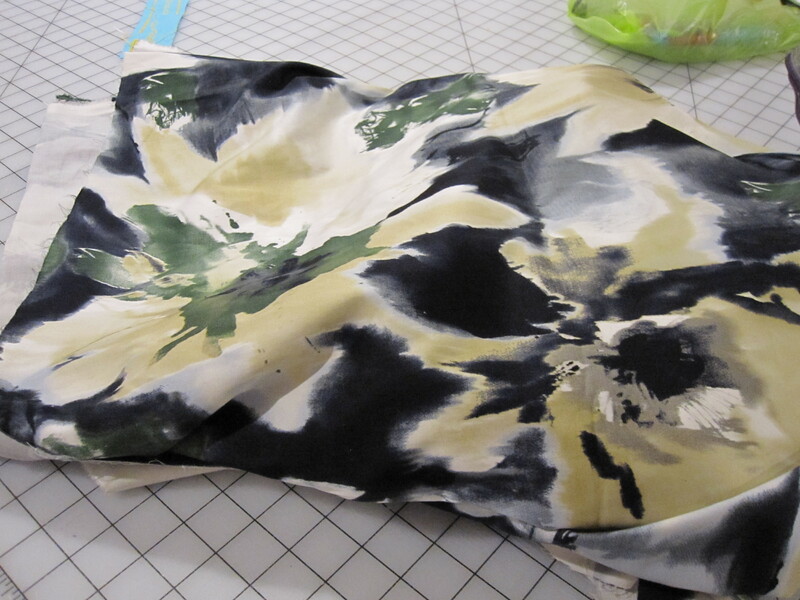 The chiffon material hasn’t fully inspired me yet, so if anyone has any suggestions, I am open to them. 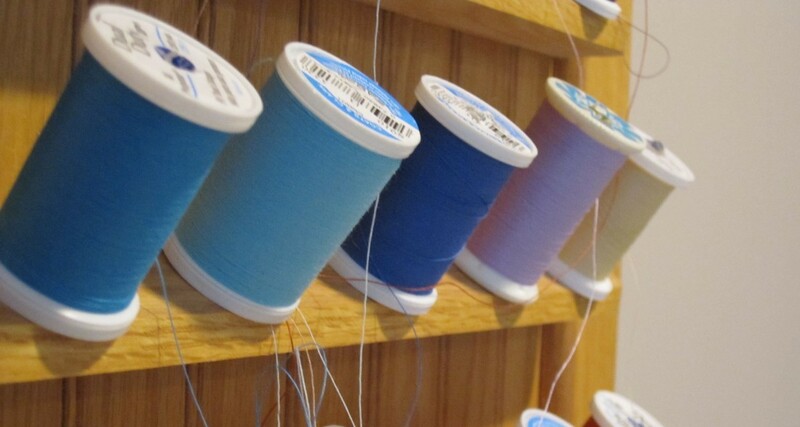 Categories: Material Addiction | Tags: chiffon, Sewing | Permalink.